Across the country Post-Docs were organizing, fighting for a better deal. 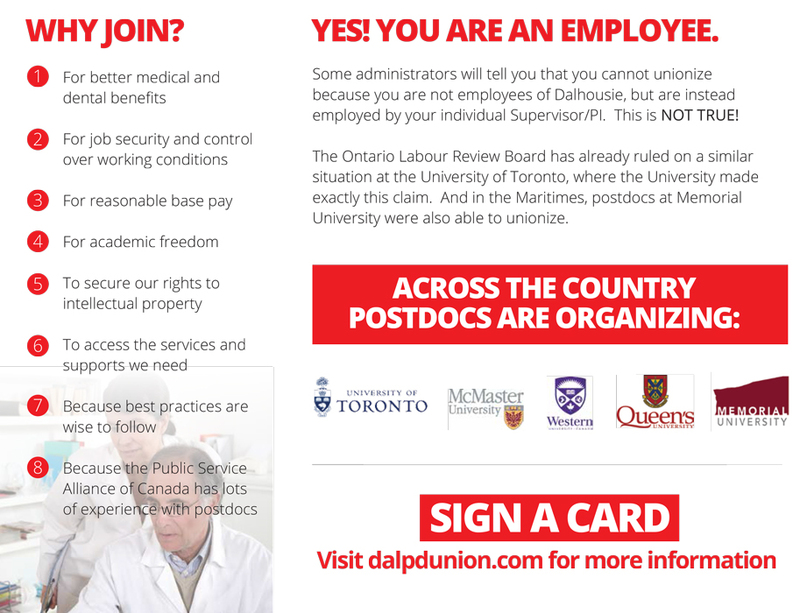 PSAC was organizing the Post-Docs at Dal and asked us to design a leaflet to support their ground game. We created a standard double-fold, three panel piece with lots of personality to be eye-catching, effective, and clear. We’re pretty proud of the result.